Women who develop high blood pressure in their 40s may be more likely to develop dementia years later, according to a study published in the October 4, 2017, online issue of Neurology®, the medical journal of the American Academy of Neurology. “High blood pressure in midlife is a known risk factor for dementia, but these results may help us better understand when this association starts, how changes in blood pressure affect the risk of dementia and what the differences are between men and women,” said study author Rachel A. Whitmer, PhD, of Kaiser Permanente Division of Research in Oakland, Calif. The study involved 7,238 people who were part of the Kaiser Permanente Northern California health care system. They all had blood pressure checks and other tests from 1964 to 1973 when they were an average age of 33, then again when they were an average age of 44. About 22 percent of the participants had high blood pressure in their 30s (31 percent of men and 14 percent of women). In their 40s, 22 percent overall had high blood pressure, but the makeup was 25 percent of men and 18 percent of women. 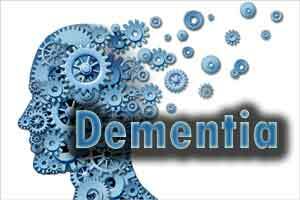 Next the researchers identified the 5,646 participants who were still alive and part of the Kaiser Permanente system in 1996 and followed them for an average of 15 years to see who developed dementia. During that time, 532 people were diagnosed with dementia. Having high blood pressure in early adulthood, or in one’s 30s, was not associated with any increased risk of dementia. But having high blood pressure in mid-adulthood, or in one’s 40s, was associated with a 65-percent increased risk of dementia for women. Women who developed high blood pressure in their 40s were 73 percent more likely to develop dementia than women who had stable, normal blood pressure throughout their 30s and 40s. The results were the same when researchers adjusted for other factors that could affect risk of dementia, such as smoking, diabetes and body mass index. For women who made it to age 60 without dementia, the cumulative 25-year risk of dementia was 21 percent for those with high blood pressure in their 30s compared to 18 percent for those who had normal blood pressure in their 30s. One limitation of this study is that many developments have been made since the study started in screening for high blood pressure and the use and effectiveness of drugs for it, limiting the ability to generalize the results to today’s population.